My friend got her present in the mail, so I can finally show it off here. 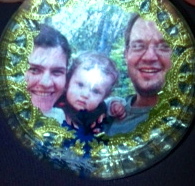 These customizable clear, plastic photo ornament balls from Michaels are great. As usual, I went heavy on the Modge Podge. Believe it or not, simply using printer paper for the photo is fine. With Modge Podge, it turns out great. Take a look at the snow flakes in the upper picture. 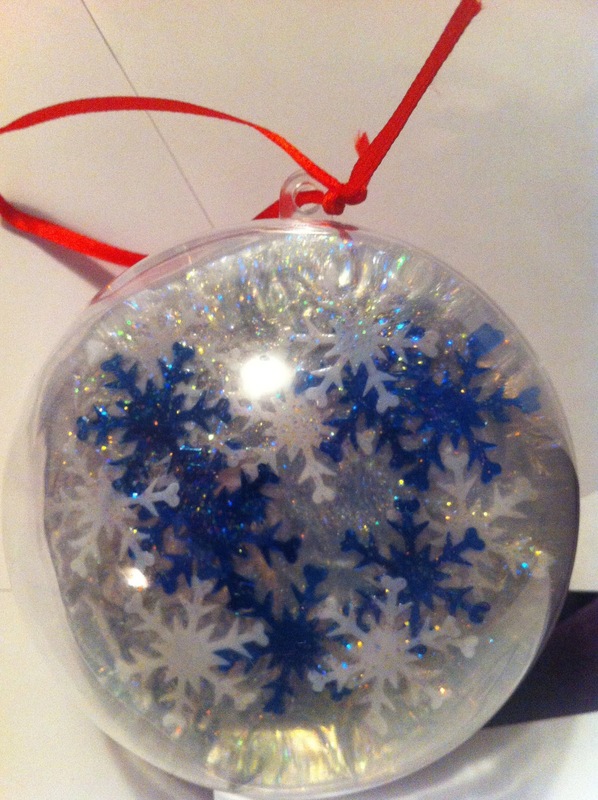 If you flip the ornament upside down, they fall to the top. So, now, it should be snowing on my friend's tree, whatever the temperature.